In 2005, Police Officer Michael Chuchro began developing a prototype website. The mission was to assist Chicago Police Department members perform the functions of their respective duties with ease. It would be designed to provide officers access to resources from one convenient location; combining information that was not previously available to officers and compiling resources from other hard to find areas within the Police Department’s intranet. The main purpose was to help assist officers in completing arrest complaints by archiving preprinted complaints in a digital format. A secondary goal was to provide access to other useful documents, links and resources. Initially the website housed the Preprinted Complaints, Department Directives, Department Forms, Investigatory, Promotional, Supervisory and Miscellaneous Resources. The website was built and then given to a select group of officers on a usb thumb drive to test and use at work. Over the next two and a half years the website was revised and modified according to feedback received from the officers. 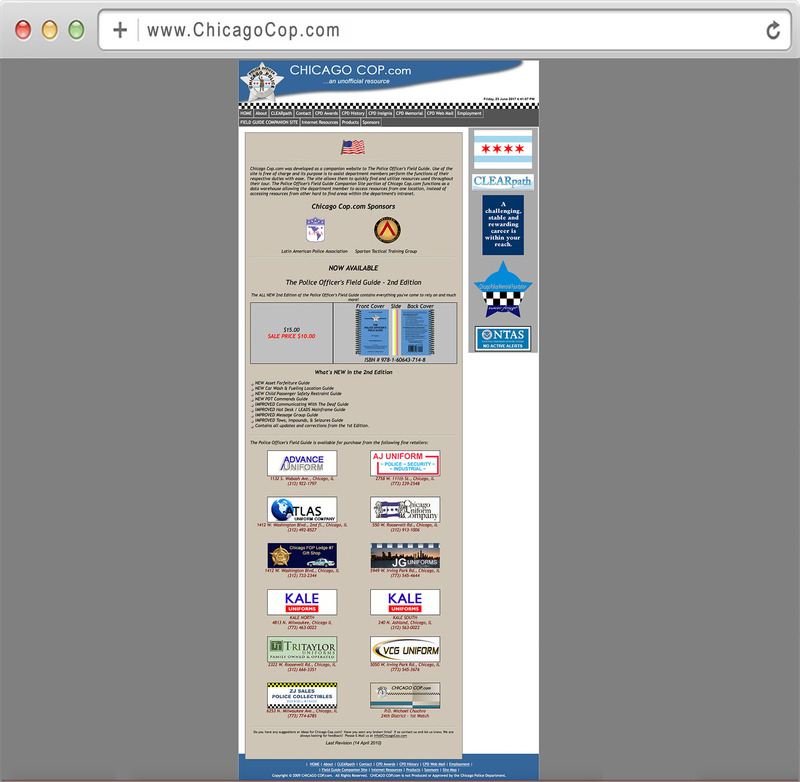 In July 2008, ChicagoCop.com was launched on the world wide web. A portion of the site was designed as a companion to The Police Officer’s Field Guide (aka The Rainbow Book) which was also released the same year. Using the prototype website as a model it was redesigned and expanded. The expansion introduced a public facing area with information about Department Awards, Insignia, Patches and a Roll Call of the Department’s Fallen Officers. 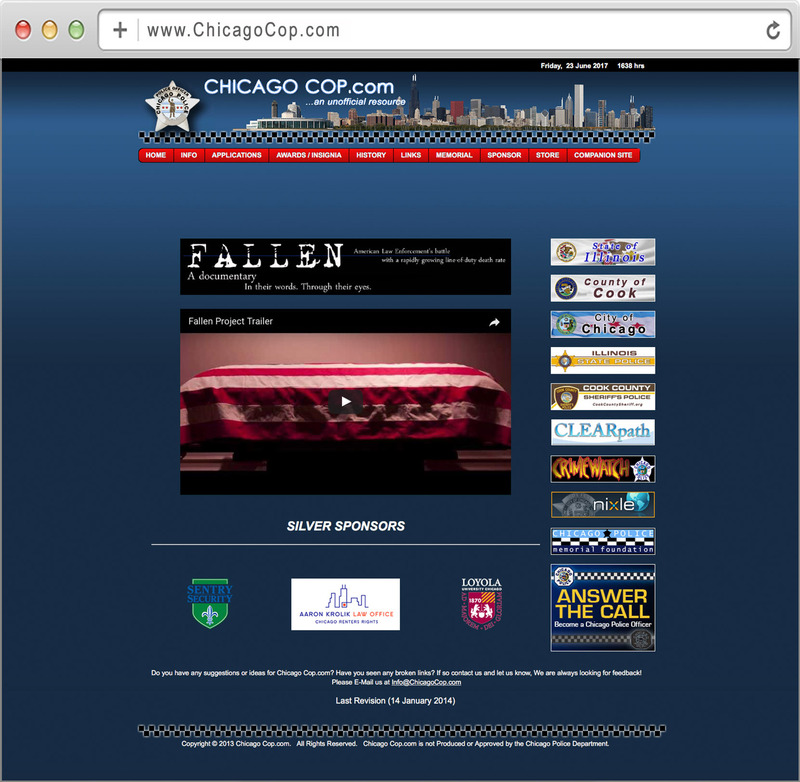 The Police Officer’s Field Guide Companion Site portion of ChicagoCop.com, which was password protected, functioned as a data portal. It included the entire contents of the prototype website with some new additions. Now available to the entire police department, the site began to grow in popularity as news of it spread through word of mouth. 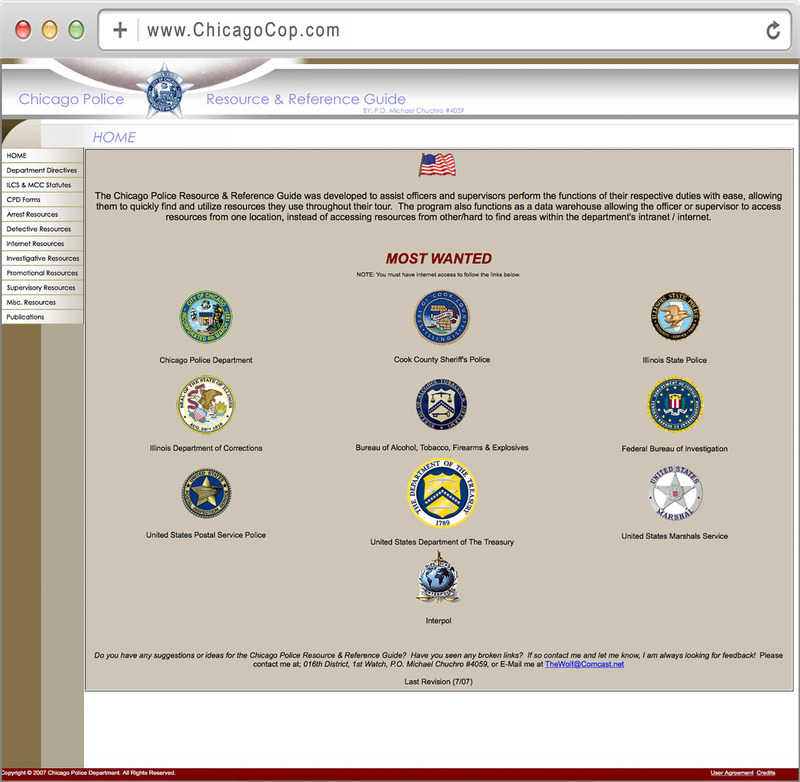 Widely adopted amongst the rank and file, ChicagoCop.com became a successful resource used by 100’s of officers per day. On April 16, 2010, the website was relaunched after undergoing a major redesign and expansion of its resources. For the first time the website became a robust resource for researchers. It now contained resources about the Chicago Police Department’s history. Introduced was a History section dedicated to topics such as the Heads of the CPD, Historical Events, Special Units and other items of importance. Also introduced was a digital Documents Archive, included in its holdings were the Department’s Annual Reports, the Chicago Police Newsletter, Chicago Police Star Magazine, PAX 501 and other documents and publications of historical importance. 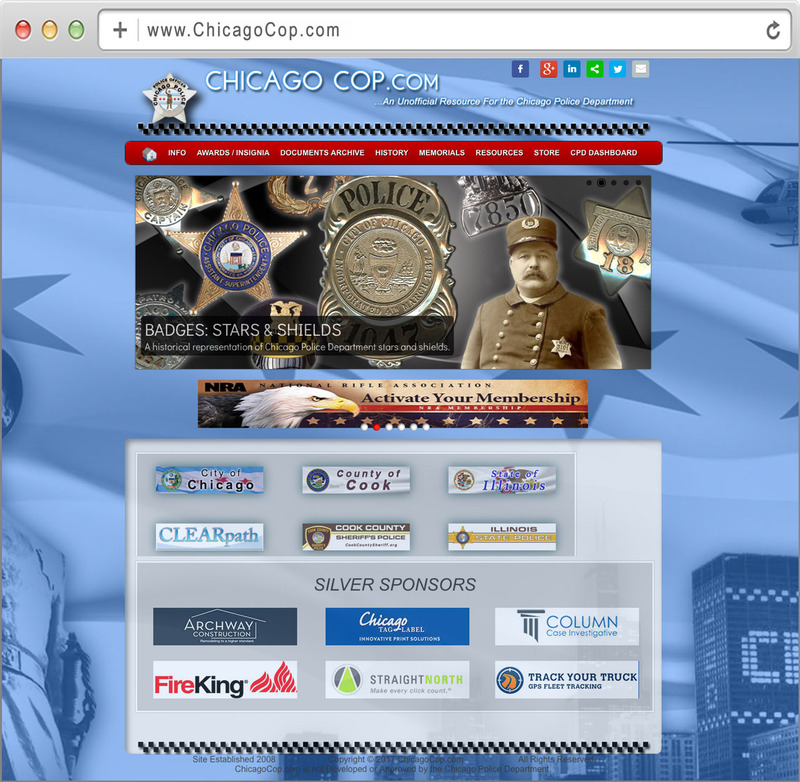 In 2014, ChicagoCop.com was again refreshed with a new design and relaunched with additional content. With over 15,000 visitors a month the site became widely used as a reference source. The digital Documents archive grew by hundreds of documents and new refinements made the site more robust and informative. 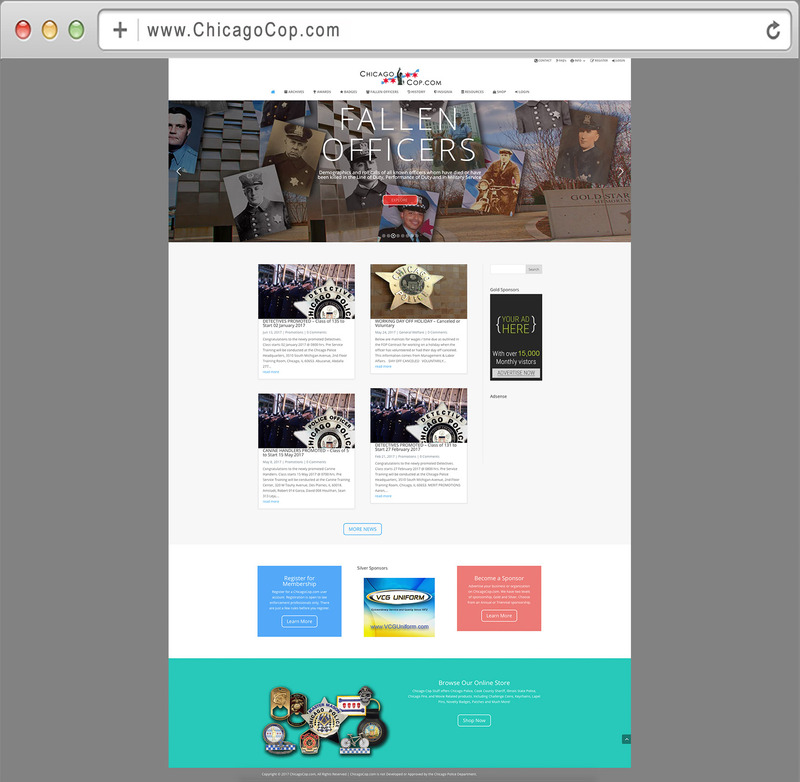 In 2017, ChicagoCop.com underwent its second major redesign and expansion. Launched on July 20, 2017, it transitioned from a standard website and adopted WordPress as its content management platform. With the power of a database the website was now able to evolve into a modern and more robust platform. The site became compatible with smartphones and tablets utilizing a responsive design. For the first time users could create their own accounts to access restricted content. Previously a single generic username and password were used to login. The Documents Archive expanded again adding new holdings. The Fallen Officer Roll Call also expanded providing new details and incident specifics pertaining to each officer. The research to complete this was conducted over five years and the information painstakingly compiled over hundreds of hours to ensure that no detail was missed. During the course of this research previously unknown officers were discovered and added to the roll call in addition to the Chicago Police Memorial and Chicago Police Departments official roster of fallen officers. The site owner has been a Chicago Police Officer since 2000 and is currently assigned to the 1st District – Central, as a Field Sergeant.